More than two years after a recession-induced merger, People’s Federal Credit Union is striving to break even. To sustain the cost of providing financial services for West Oakland’s low income residents, the ten-year-old People’s must revive its sluggish loan income, says Self-Help Federal Credit Union of North Carolina, the parent company helping West Oakland’s only thrift back to health. Since its merger with People’s in 2008, Self-Help Federal Credit Union has opened a total of 18 branches from Bakersfield to Napa by merging with or acquiring struggling local credit unions. The mergers reflect the financial squeeze felt by operators of small, community-based credit unions during the nation’s worst downturn since the Great Depression. “Self-Help does not want programs that are helping people to shut down,” said Sika Amados, Vice President of Branch Management at Self-Help Federal Credit Union. A community lender and property developer founded in Durham, NC, in 1980, the new credit union’s parent company is the Center for Community Self-Help. The nonprofit launched Self-Help Federal Credit Union in July 2008 when it merged with People’s and began a string of takeovers of struggling California thrifts. At the time of the merger, People’s had 2,767 members, and the credit union had $976,615 in total loans on the books as of June 2008, according to the company’s last financial performance report in 2008 from the National Credit Union Association (NCUA), the federal regulator for credit unions. But deposits, loan income, and investments weren’t enough to keep People’s financially healthy, and the credit union found its capital stretched thin. Self-Help has fought to improve its first branch’s outlook since 2008, but Amados said that People’s has to a long way to go before it can cover its own operating costs without funding from Self-Help’s ample reserves. Amados said figures were not available for how much Self-Help has invested in People’s. She declined to say how much income the branch would need to break even by this year, or how much they hope to improve their loan income, their primary goal. 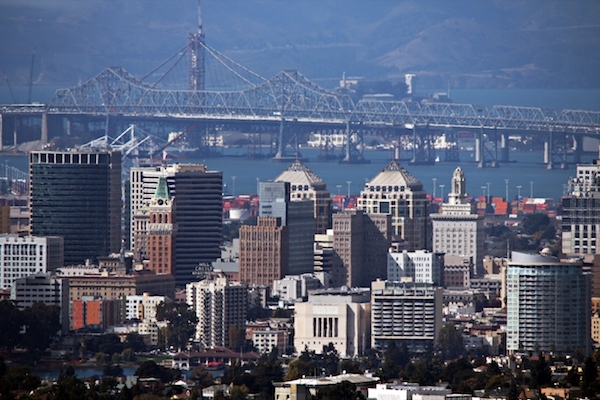 Increasing loan income in West Oakland, where helping low-income residents build credit can take time and education, will be difficult, Amados said. Self-Help has introduced a mortgage product since merging with People’s, but Amados said so far no one has used the product to take out a home loan at this branch. Amados said Self-Help hopes to spread information about People’s through “small grass roots marketing.” Self-Help has done community outreach at events like Oakland’s Financial Fitness Fair in April, but mostly relies on word of mouth. Regardless of the nation’s economy, People’s provides services that are a challenge to sustain. People’s serves “many members with very low balances, who come into the branches to do very work-intensive services,” Self-Help policy associate Jeanine Esposito said. But providing services like credit review and loan counseling doesn’t directly result in income for the credit union. During the recession, bad loans have had a severe impact on small credit unions. When loans are delinquent for over six months, the credit union’s regulatory body requires them to reserve funds to cover 100 percent of the loan in its assets, said Michael Chan, president of Asian Inc, an organization that advocates for financial opportunities for low-income Asian communities in San Francisco. Low capital ratios are hard for small credit unions to escape in a collapsing loan climate, said Chan. “Your investments are not earning anything to really support the operation,” Chan said. “They’re earning .1 percent when before [the recession] they were earning 6 percent—which really means you’re compelled to make loans.” And when it’s hard to make a safe loan, net worth can spiral downward along with income, Chan said. When it became clear in 2008 that the only financial institution located in West Oakland was at risk, the board of People’s sought a merger with an acceptable partner, said advisory committee member Elissa Dennis, who was on the board at the time. “Our little tiny one branch managed to structure [its] own merger,” she said. People’s branch manager Sherry Alexander said that the merger was a “win-win situation.” Alexander continues as the face of the credit union, and Self-Help has an outlet in California for retail services like checks and Visa debit cards, both of which Self-Help plans to provide soon. In the fiscal quarter when Self-Help Federal Credit Union launched with its merger of People’s in 2008, it reported almost $9.6 million in assets and a capital ratio of a little more than 27 percent in its financial performance report. With its current reported $369 million, Self-Help has a healthy overall outlook. Since the merger, “we were able to work with partners who were able to give us loans with low interest rates,” said Esposito. They also rely on “socially responsible investors” who make deposits and sometimes accept lower than market rate returns, Esposito said. Gateway Bank of San Francisco announced a $250,000 investment in Self-Help Federal Credit Union in February. Community members like Dennis helped start People’s Federal Credit Union in 2001 in order to give West Oakland residents access to bank accounts, as well as an escape from check cashers, pawn shops, and other businesses that can chip away at the incomes of poor people. “From the outset we’ve done free tax prep, financial education, credit review and credit repair,” Dennis said. 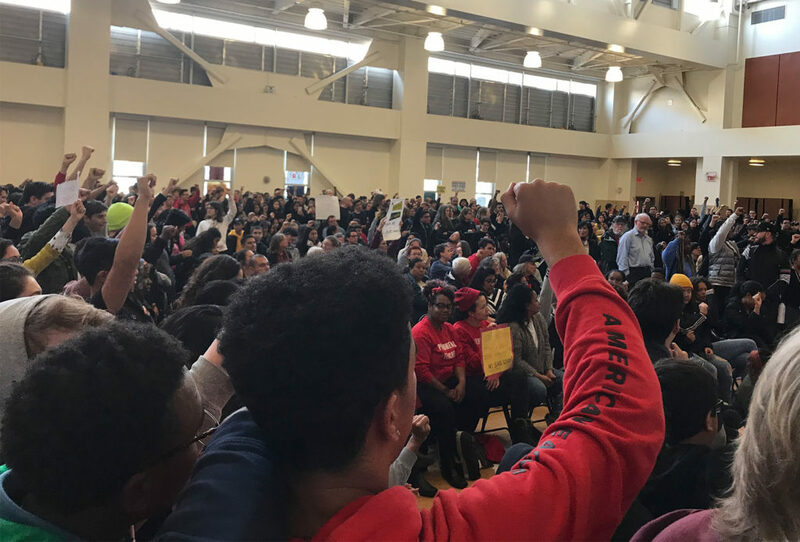 “Here in the West Oakland area, members have to walk maybe six tenths of a mile downtown in order to get to some of the banks, and some of the credit unions there have closed or have gone away,” Alexander said. People’s has focused on helping new members clean up their credit, save, and access loans. If a member doesn’t qualify for a regular loan, People’s offers a Fresh Start loan, which locks $500 in a savings account for one year. The money creates a positive balance for the member, and each $44 payment toward the loan can improve a person’s credit score. After the loan is paid, the money becomes available to the member. Over the past year, Alim said she improved her credit by paying off a Fresh Start loan. She then qualified for a $5,000 personal loan that she used to buy her ’98 Land Rover, something she hadn’t thought she’d ever be able to do. Now Alim focuses on maintaining a perfect payment record on her loan. People’s Federal Credit Union marked 10 years of operating in West Oakland this year. The credit union aims to connect low income residents with tools to improve their credit.